SEOUL, Jan. 5, 2013 — LG Electronics (LG) will be unveiling its latest front loading and top loading washer-dryer pairs at the 2014 International Consumer Electronics Show (CES) in Las Vegas. The comprehensive range of convenience-enhancing products also includes the 29-inch front loader washer with TurboWash™ (model WM8000HVA) which was named an Honoree in this year’s CES Innovation Awards for its high-efficiency washing performance. 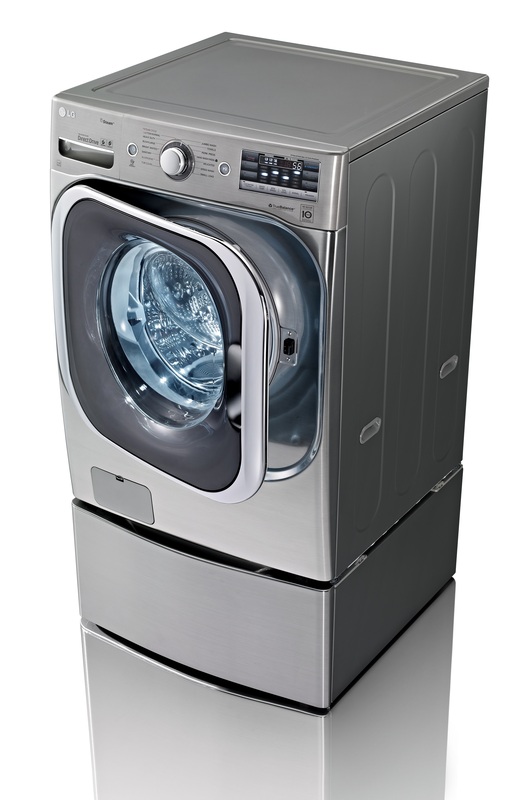 In addition to the eco-friendly WM8000HVA, LG will be showcasing 29-inch front loading washer-dryers with NFC technology and the 27-inch front loader washer-dryer models featuring proprietary Heat Pump technology. 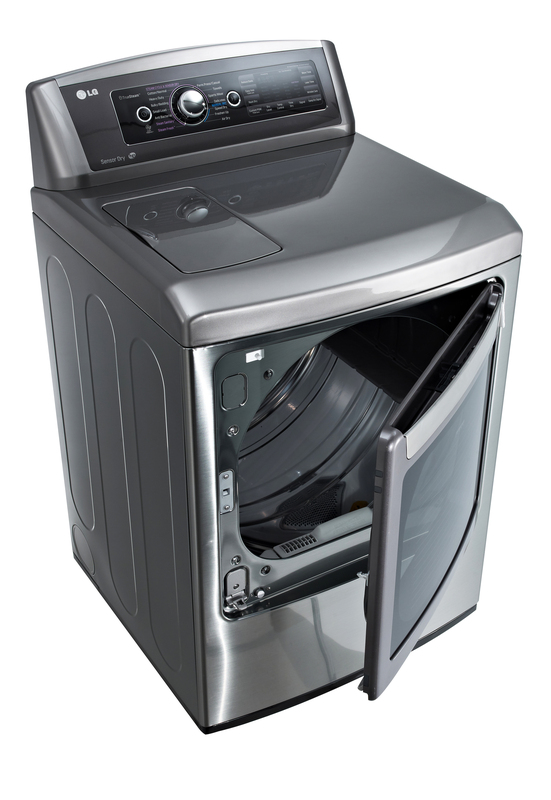 Visitors to CES 2014 will also see the 27-inch top loading washer-dryer pairs with TurboWash™ and smart washer-dryer units that work with LG’s HomeChat™ natural language technology. LG’s smart washer-dryer pair (models WT6001HVA and DLGX6002V) will be on display in the Smart Home Zone. With HomeChat, a new natural language messaging innovation for LG smart products, users can start a load of laundry, monitor the status of their washer,download new cycles and receive push alerts via smartphone or LG Smart TV. The Allergiene™ Cycle harnesses the power of steam to gently remove allergens from clothing. Ideal for even the most delicate of fabrics, Allergiene™ is certified effective by the Asthma and Allergy Foundation of America (AAFA). Boasting a huge capacity of 5.2 cu.ft., washing king-sized comforters and full sets of bedding in a single load is no challenge. Without compromising cleaning performance, the company’s revolutionary TurboWash™ technology, can save 20 minutes per load by combining the spin and rinse cycles. Moreover, LG Steam technology removes the toughest dirt, odors and wrinkles while Smart Diagnosis™ helps users quickly and efficiently troubleshoots almost any issues before they become bigger problems. 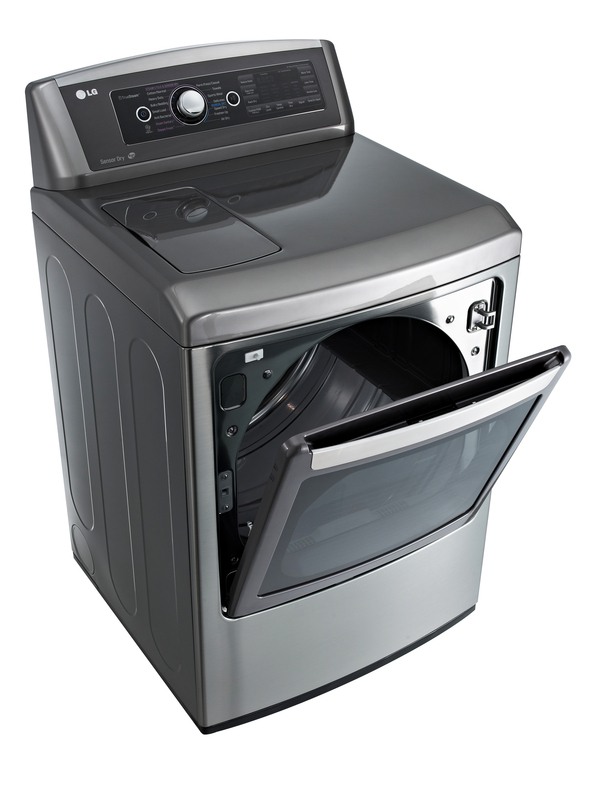 Like all of LG’s industry leading washing machines, the 29-inch front loader is built around 6 Motion™ technology. The company’s innovative system uses a combination of six different motions to deliver customized washes for a wide variety of clothing. The Inverter Direct Drive motor comes with a 10-year warranty and has been certified by VDE of Germany for its ability to perform effectively for 22 years. The latest 29-inch dryer from LG (models WM4070HVA and DLHX4072V) is the first in the U.S. market to offer LG’s energy-efficient Heat Pump drying technology. The Heat Pump system helps to reduce energy wastage by cleverly recycling heat generated during the drying process. Meanwhile, the moisture inside the dryer is utilized by the Auto Clean System to clean the condenser. Filter Checkers and the Pocket Filter capture dirt particles separated from clothing to further increase drying efficiency. 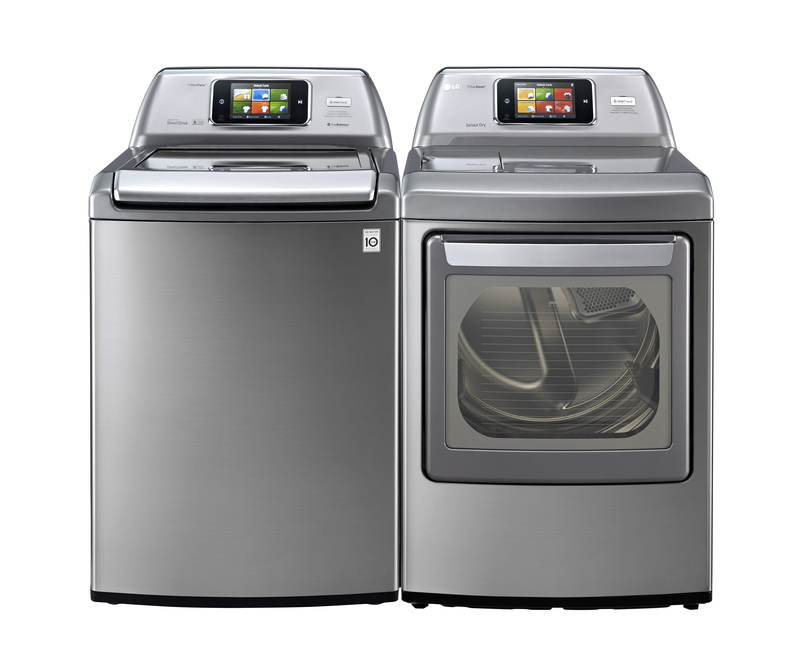 Models WM8500HVA and DLGX8501V, another set of 29-inch washer-dryers, offer large capacities and the convenience of near field communication, or NFC, tagging. This wireless technology allows users to download specialized washing cycles to their smartphones to be uploaded to the appliances with a single tap of the phone to the washer. The front loading washer and dryer employ LG’s TurboWash™, Steam and 6 Motion™ technologies. They also feature Allergiene™ Cycle, Smart Diagnosis™ and the Inverter Direct Drive motor with a10-year warranty. At this year’s CES, LG will also showcase its mega capacity 27-inch top loader washer-dryer (models WT5680HVA and DLGX5681VE, WT1701CV and DLGY1702VE). Available in 5.2 cu.ft. and a 5.0 cu.ft. capacities, the new machines incorporate a new horizontal damping system that allow them to accommodate more laundry than similarly-sized models. 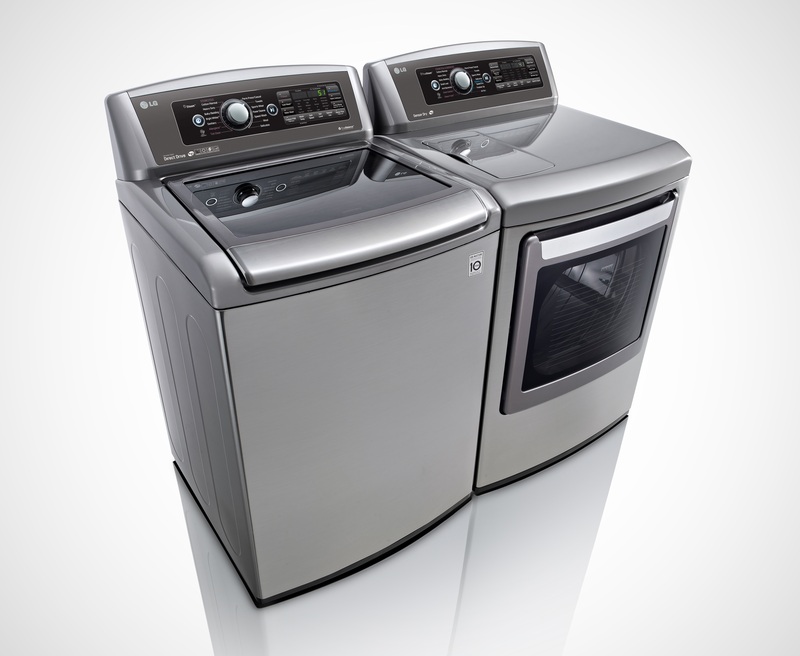 The new pairs are the first top loading washer-dryers to incorporate LG’s time-saving TurboWash™ technology. The dryers in LG’s latest top loading duos are equipped with the LG EasyLoad, a two-way door system offering users a hamper-style door or a swing-door. This unique setup lets users load and unload their machines in a manner that is easiest for them. What’s more, LG’s 5.0 cu.ft. pair has front mounted controls, making it possible to select and set wash cycles without having to reach over the machine. 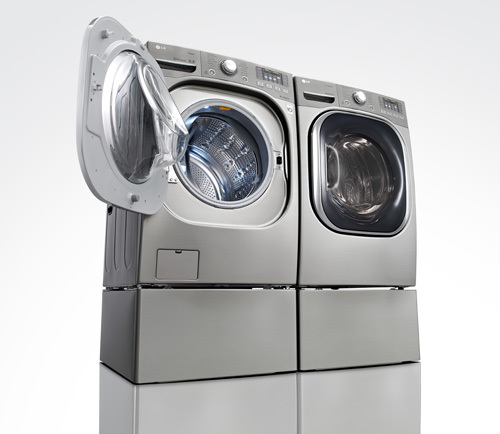 The top loader washer-dryers from LG have features in common with the company’s front loader washer-dryers, including 6 Motion™, Steam technology and Smart Diagnosis™. 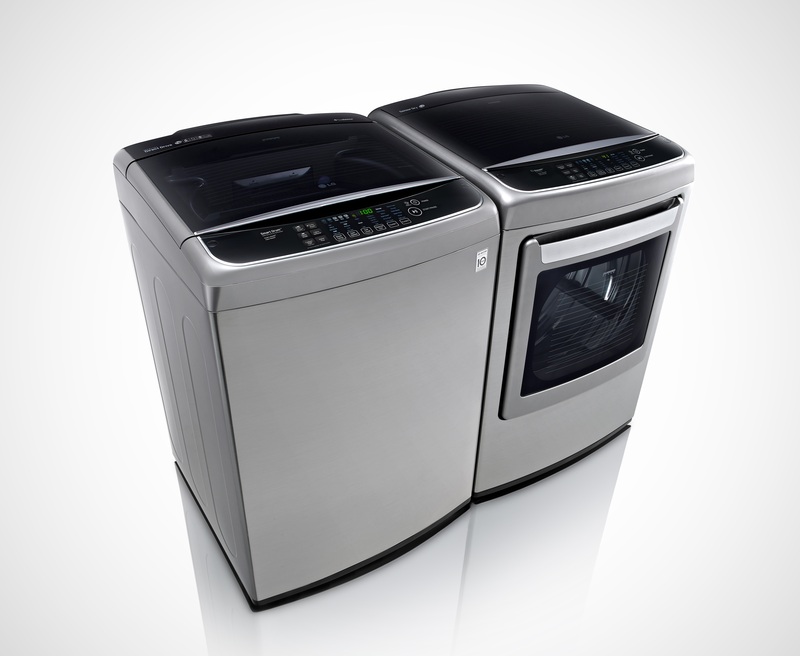 Visitors to LG’s booth at CES 2014 (Las Vegas Convention Center, Central Hall #8204) from Tuesday, January 7 through Friday, January 10 will have the opportunity to see LG’s latest washer-dryers for themselves.